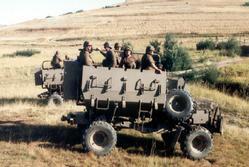 The Regiment President Steyn (RPS) was established as an Infantry Regiment on 1 April 1934, it was later converted to a Machine Gun Battalion. After receiving six commendable Battle Honours in North Africa during the Second World War, the unit amalgamated with the Regiment Botha to become a tank regiment. Following demobilisation the RPS reverted to Infantry. 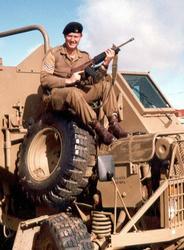 In 1953 the RPS was converted to an Armoured Car Regiment and kept this status until 1 January 1975 when the RPS was converted to a Tank Regiment. 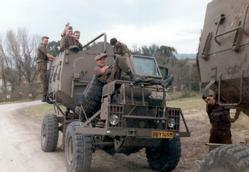 The unit was divided into two units and 2 RPS, which later became Regiment Vrystaat, continued as an Armoured Car Regiment. 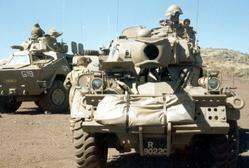 The RPS performed valuable duty in South West Africa and Angola. 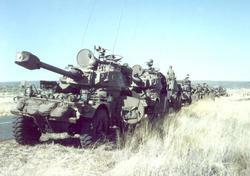 The Regiment's first Unit Colour was a gift from the City Council of Bloemfontein and the wife of the late President M.T. 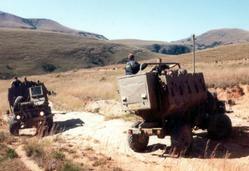 Steyn presented it to the Unit on 17 October 1939. The RPS also became the first unit to receive the Right to the Freedom of Entry to the City of Bloemfontein. The date of this honour was 1 April 1955. 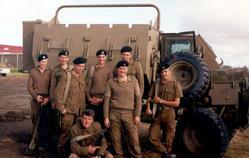 In May 1997, 21 years after the division, the Regiment President Steyn and Regiment Vrystaat, amalgamated. 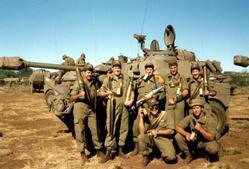 The unit's present Honorary Colonel, Col Jonie van der Linde, is a previous unit commander. His predecessor was the late Judge of Appeal M.T. Steyn, the grandson of President Steyn. The Regiment President Steyn is now, as it has been in the past, loyal to its motto: VRYHEID, GETROUHEID, MOED (Freedom; Faithfulness; Courage).